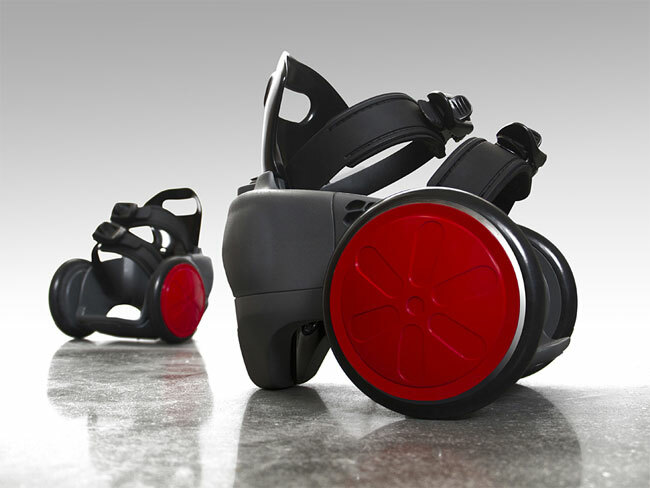 If you have been waiting for a pair of motorised skates to be created, your in luck. As a new concept called spnKiX has just made it appearance on the Kickstarter website, looking to make the jump from concept to reality. The spnKiX designed by Peter Treadway are motorised battery powered skates that strap right on to your shoes and can propel you at 10 mph. They are hand controlled by a wireless remote, and all hardware and electronics are integrated into a frame made of fiber reinforced nylon.Watch the video after the jump to see it in action. Each skate has its own independent motor and lithium battery pack, which takes around 2 hours to charge from flat. The wireless remote straps to your hand and controls both feet at once, and they even come with a removal training wheel to help you get started. If you think the new spnKiX skates are something you can benefit from they are available to pledge for now over on the Kickstarter website, starting at $375 a pair.